WESTCHESTER GRANITE the marble & granite works ccompany for excellence. COMMERCIAL STONE WORK... NO PROBLEM! 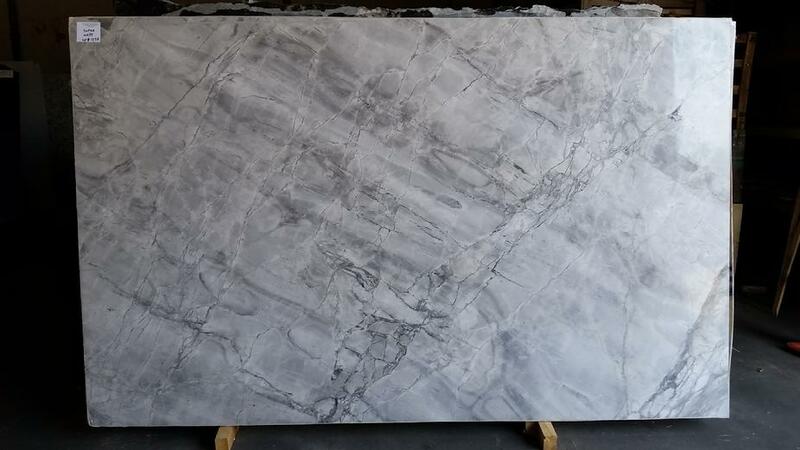 The Marble Institute of America has announced the conclusion of a four month study on popular granites used for kithcen countertops. Located in the heart of Westchester County NY, serving homes in New York, Conecticut and New Jersey since 1990.- Our job is give you excellency, functionality, elegance with first quality materials and master craftsmanship... at the best price . Lots of samples, natural stone, engineered stone, ... you name it! New Haven & Norwalk Ct; Yonkers, Hasting on Hudson, Portchester, Brooklyn, Staten Island, Farmingdale, Long Island, NY; Carlstadt, Elmwood Park, North Bergen, Bayonne, Union, NJ. Give us a brief description of your project or plans. S p e c i a l s !! *THE* Professional source for counter tops and back splash installations. A GRANITE KITCHEN COUNTERTOP IS BORN! what's So cool, it's hot hot hot ! H O W D O I M E A S U R E T H E S Q U A R E F O O T A G E ? 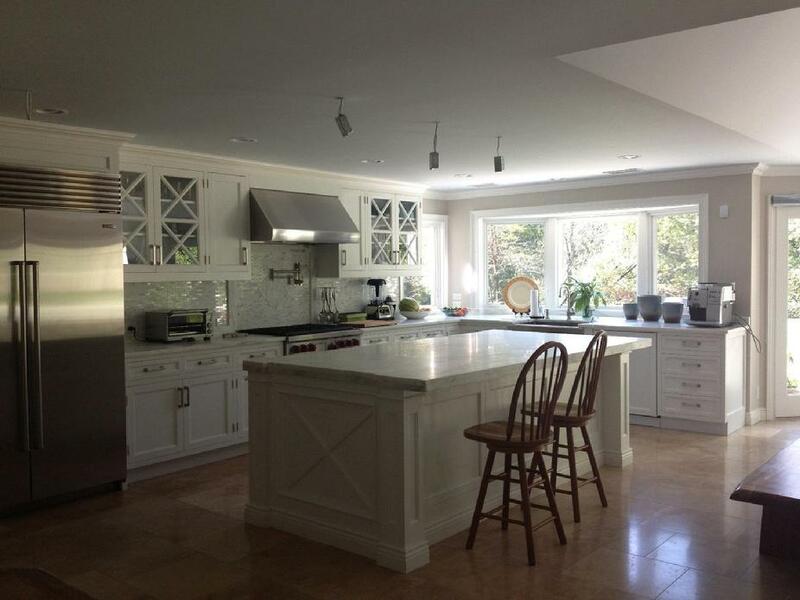 Granite wountertops have become a fixture in high end homes. 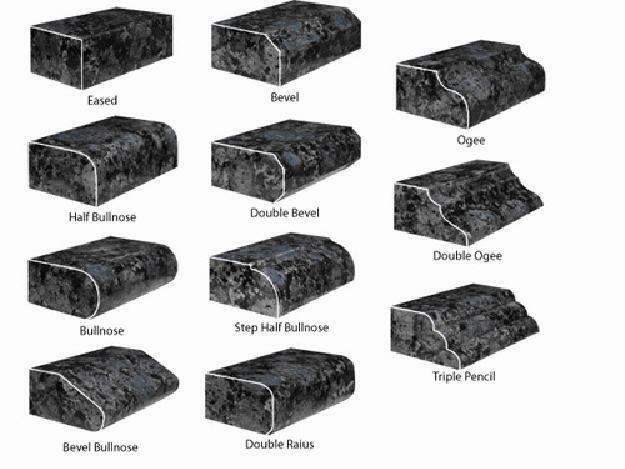 They are available in numerous patterns and colors and are virtually maintenance free. They are also relatively expensive, so accurately determining your needs is essential to preventing costly ordering mistakes. Ordering too much wastes money, while ordering too little wastes time and money as you wait for additional material. Fortunately, calculating the amount of granite needed to complete a job requires anly basic carpentry and math skills. Measure in inches the lenghts of all countertops, incluiding base cabinets and islands. For example, assume you have 170 inches of countertop. This will be the lenght of backsplash as well. Multiply your total lenght by 26, the width in inches of standard countertops, to find total contertop area in square inches. So, 170 inches times 26 inches yields 4420 square inches. Multiply 170 inches by 4 inches to find your total backsplash area in square inches. That's 170 times 4 inches, yielding 680 square inches of backsplash. Add the two totals together to find total square footage: 4,420 plus 680 equals 5100 square inches. Divide now 5100 by 144 (constant) to convert to square feet : 35.41 square feet of granite. Marble fireplace surrounds Blowout Sale!